A spacious two bedroom apartment located in the popular complex Elita, El Varadero. This is a quiet area, still walking distance to the shops, bus routes, restaurants and local amenities. 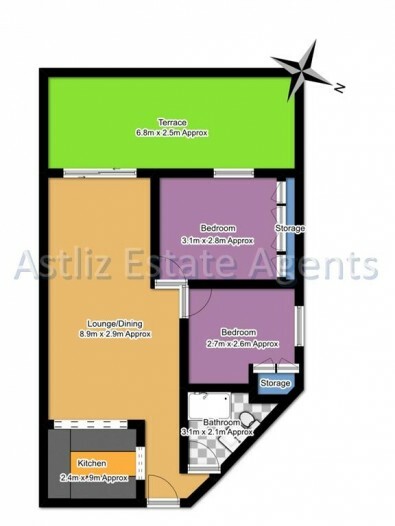 The property is on the first floor, the double bedrooms have fitted wardrobes and there is a good size bathroom. The kitchen is fully fitted with a breakfast bar, overlooking the living area which leads to the large sunny terrace offering great views to the ocean and the island of La Gomera. The complex is maintained to a very high standard and has a communal swimming pool. The apartment is sold furnished and viewings are highly recommended.